A top international trade expert was rather sceptical about the overall benefit that free trade agreements (FTAs) could boost Sri Lankanexports but insisted it could be complementary provided the country had the capacity to produce products that were competitive enough to meet demand and request standards in respective markets. Reiterating that the recently signed FTA with Singapore was not a “game changer”, she pointed out that if the Government wanted to revive the export sector of Sri Lanka there was a lot more that could be done rather than simply entering into FTAs. “I have always been of the position that FTAs are complementary, but they are not going to be a game changer for Sri Lanka. FTAs can definitely help but the kind of expectation which is created, that it is going to give massive benefits like generating a lot of exports, I think is not correct and no country has experienced FTAs really generating that kind of exports. 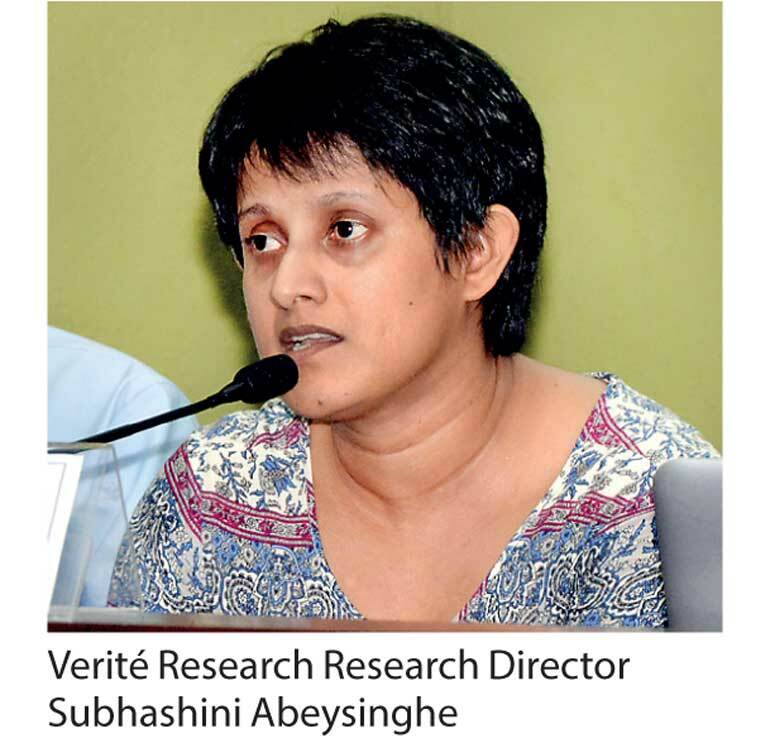 If you want to revive the export sector of Sri Lanka, we have to do much more than FTAs,” Research Director of Verité Research, Subhashini Abeysinghe, opined last week at a seminar titled ‘Expand Business Opportunities through Sri Lanka-Singapore FTA’ organised by the Ceylon Chamber of Commerce. However, she said that the FTAs could play a complementary role provided the country actually had the capacity to produce products that were competitive enough to meet demand and request standards in the respective markets. “The idea behind FTAs purely from the exports perspective is that you have a good product basket, you have product capacity, your products are competitive, but unfortunately you cannot export because of the tariff barriers and non-tariff barriers. So removing these tariffs and non-tariff barriers will help increase your exports. But when you look at Sri Lanka’s export basket and export capacity, we all know that most of our export sectors do have significant challenges in big competitive international markets,” she pointed out. Stating that tariffs and non-tariff barriers were only one of the many problems traders faced in the international market, she insisted that the Government and the private sector should look beyond that to find the right buyers, knowing other rules and regulations, the distribution network, market conditions, demand conditions and other information which matters a lot more for Sri Lankan exporters to succeed in international markets. “If you all are into trading goods, Singapore is already a duty-free market, even before the FTA was signed. When you look at the statistics, you really do not see Sri Lankan exporters doing well in the Singaporean market. Maybe the FTA has not seen it, but if you have non-tariff barriers maybe in the FTA under the goods sector it can help overcome those non-tariff barriers,” she added. Singapore is Sri Lanka’s 20th largest export destination and in 2016 Sri Lankan exports were valued at$15.5 million. It is the third largest import country with $1.3 billion. Singapore is also the eighth largest investorin Sri Lanka with $33.7 millionin investments made in 2016. Acknowledging that the FTAs were a good policy, especially for sectors that had problems in accessing major markets, Abeysinghe asserted that some of Sri Lanka’s apparel exporters were very optimistic about certain markets they were highly competitive and they felt that if these barriers were removed they could export to these markets. Nevertheless, she emphasised that it was not the case for all sectors. She said that the many research studies conducted by Verité clearly showed that there were many initiatives which could be implemented within the country to address some of those supply-side constraints or domestic barriers, which the CCC has now taken on with the Government. “I think there needs to be a simultaneous effort to ensure that Sri Lankan businesses can operate in a competitive environment, and that they are able to produce products at a competitive price with the right quality and basically take it out of the country,” Abeysinghe added. According to research findings, many of the exporters found that it was difficult to take products out of the country.